Phi Phi Island is a wonderful holiday destination. The pristine beaches, stunning natural beauty, great hotels and resorts, delicious restaurants and a diverse selection of activities, recreation and nightlife all combine to create the perfect holiday for destination. For divers, Phi Phi Diving represents some of the best diving in the region or anywhere else. With over 10 diving centers focused on Phi Phi diving, you will be able to prepare for and plan the ultimate diving holiday. There are a number of dive sites off of Phi Phi Island that keep divers happy time and time gain. There are some incredible dive sites that include limestone cliffs and stunning coral reefs. You can visit a different Phi Phi Dive sites each day of your holiday and never tire of the great diving. The rock formations made of limestone have formed into these unique spires that add to the overall drama of your dive. You can enjoy swim-throughs in the rock formations as well as caves, caverns and overhands to add intrigue to your dive. There are actually caves that go well beyond 100 meters for those adventurous divers who are highly experienced. Spend some time exploring the vertical walls, black coral, soft corals, fans and sea whips. 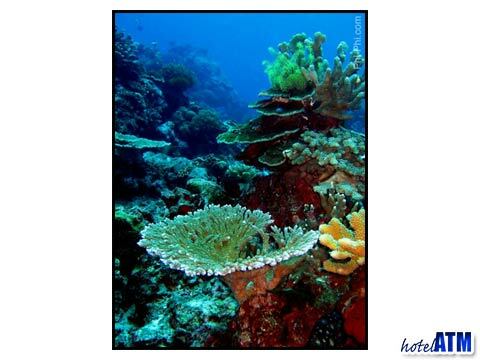 You will see a white coral bush and some great coral trees while doing Phi Phi diving. Though divers will tell you that there a number of great dive sites in the area, the one that they speak of most often is off the southern tip of Koh Bida Nok. Divers can speak hours about their experiences diving in this area. In just 10 meters of water divers can see stag horn, anemone fish and anemones, star corals and more. Watch a large school of blue-striped snappers pass you buy or snap some pictures of the octopus and moray eels that you will undoubtedly encounter during Phi Phi diving. 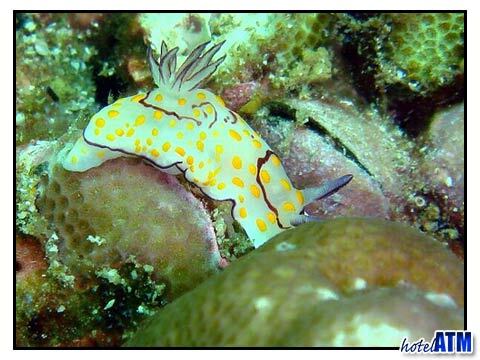 You will quickly see why Phi Phi Island diving is popular with novice and experienced divers alike. The Phi Phi Dive schools focus on the tourist industry and can offer lessons in a number of different languages so you can be certified and enjoy wonderful diving adventures around Phi Phi Island.